With headquarters in Louisville, Kentucky, Humana is an American managed health care company. Humana provides Medicare Advantage (MA) plans and other supplemental coverage options to those who are eligible for Medicare. With over 13 million customers in the United States and over 52,000 employees, Humana has the benefit of being a rather large network. This is evident in the amount of plans that they offer for Medicare. If you decide to purchase a plan through Humana, there are several available plan options. These depend on where you live and what type of plan you want: HMO, PPO, SNP or PFFS. Humana is known for their Humana Cares program. This provides integrated complex and chronic care management services to almost 208,000 Humana members. The following is a review of different Humana plans and what benefits you can get from each. Humana Gold Plus is a health maintenance organizations (HMO) plan sponsored by Medicare and offered by Humana. You choose your doctor from the large network of physicians and facilities to manage your care. The HMO plan from Humana is more affordable and provides clear, fixed costs. You also receive prescription drug coverage equal to or better than the standard in Medicare plans. HMO plans have little to no copayment costs. Emergency care is available anywhere in the world, as well. You also receive annual screenings for no cost. You can find HMO plans in almost state offered by Humana. You can do general and personalized search on Humana, as well. This means that you can add your pharmacy, doctor and facility to personalized search and get a list of plans where they will be available. Most Medicare Advantage plans by Humana have a free monthly premium option. This means you don’t pay anything each month, and you don’t have a deductible. However, you will likely pay extra for better prescription drug coverage. These plans are reviewed below. Overall, Humana offers some great HMOs if you want to pay less and don’t mind having a primary care doctor. Humana lists all of the Humana Medicare plans online. So, you can see the costs clearly and also look at the benefits of each plan. HumanaChoice PPO plans have more flexibility than HMOs and most PPOs offered by other health insurance providers. You choose any doctor or hospital that accepts Medicare. Humana also includes extra services in PPO plans for members. With a rather large network, Humana offers many available doctors and facilities across the country. In addition, Humana has an A or Excellent rating from A.M. Best, an insurance rating organization. However, Humana PPOs typically do not include prescription drug coverage. With other PPO plans at Humana, you pay extra for prescription drug coverage and have more options for different services. But these benefits may raise your monthly costs. Humana does a great job of offering affordable plans, however. The copays are little to no cost for most doctor visits. An annual exam is included in the plan with no cost. These plans also come with options for further coverage. For example, you can add dental coverage through HumanaChoice PPO plans. Humana makes it simple to add these extras through their online shopping cart option. Overall, Humana offers a number of different PPO plans that can take care of all your basic medical needs, along with a few extras. But some of these extras do cost extra if you want full coverage. For example, vision and dental care may be covered, but only for exams. If you want a procedure or need X-rays, dental services may not be covered. However, you can add this coverage through Humana for a monthly premium. Humana takes it a step further and offers another type of plan if you want more flexibility. Humana Gold Choice PFFS plans have the most flexibility. These plans allow you to visit any doctor who accepts Humana. 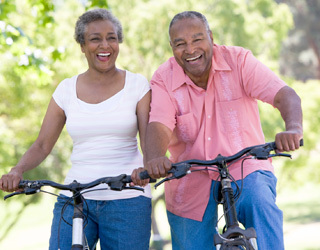 You can get all of the benefits from Medicare Part A, B and D with PFFS plans, as well. These plans have some great benefits for those who already have a doctor or who know what doctor is best for their medical needs. However, PFFS plans in every state through Humana typically have a monthly premium cost. Ultimately, PFFS offers the most flexibility and services for those who believe that they will need care from different doctors. These plans may have no monthly premium, but these will only have basic coverage. Some plans also include vision and dental coverage. With PFFS plans, you pick your options, doctors and facilities. You get the same coverage with Part A and Part B. But you may have to pay extra to enjoy this flexibility. However, it’s worth it to be able to go to different doctors and hospitals, as well as receive extra services. Humana Walmart Rx Plan PDP is the cheapest, although This plan isn’t available in every location. So, you may want to use the plan locator tool on Humana.com to find a prescription drug plan in your area. Humana Preferred Rx Plan has an annual deductible of approximately $310. Humana Enhanced PDP has no annual deductible. Humana’s Medicare Advantage plans are comprehensive and provide all of the same services that you’d receive with Original Medicare. To compare more plans and to see your options, you can also use the MedicarePartC.com tools. There are also a variety of different videos and guides to answer any Medicare Part C and Medicare Advantage questions or concerns.